A return after four weeks of graduation festivities and a 400 mile move of all our earthly possessions back to Jamaica Plain, Mass. My apologies, I really didn’t expect it to take this long to get bloggin’ again but I also underestimated everything related to this move. Mainly the exhaustion and general apathy of being a chubby fella in May humidity. Anyhoo, with my two year stretch in Philadelphia finished, I might as well wrap it up with a megapost on my favorite food in Philly. Most of these places are in the Center City and University City area but there are a few outside of that region. Much like the rest of my blog, nothing really fancy on this list. Some of the best restaurant experiences I had in Philly were at Zahav, Barbuzzo, and Tinto. The best gourmet food at reasonable prices (because they are BYOB restauarants) were Mercado, Matyson, and Pumpkin. But you can find out all of that in Zagats or on Yelp. This post is about the more humble spots I loved. Here we go. This one doubles as also being the best food cart I have visited, and visited regularly. I’ve talked at length about it in previous blogs, but they serve phenomenal vegetarian food. 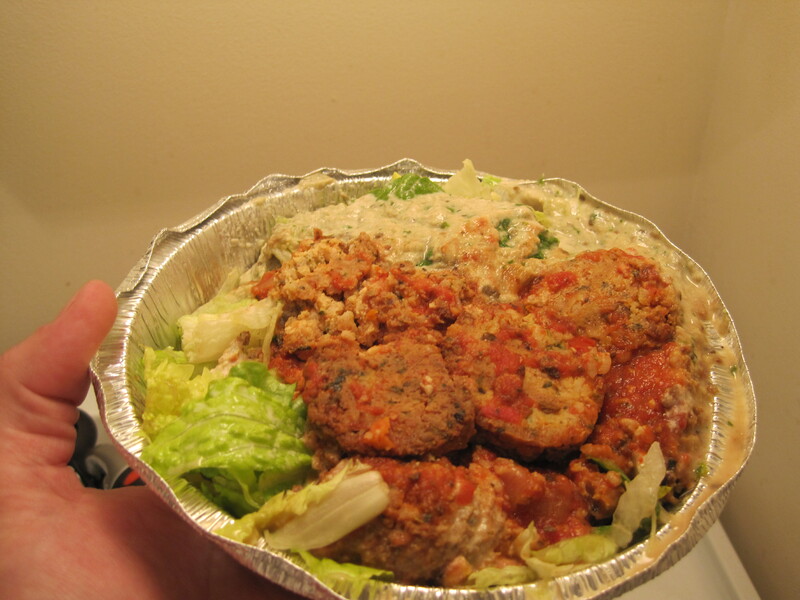 My personal favorite is their Magic Meatballs which are made with seitan and sit in a tray of marinara sauce. I like them served over an iceberg lettuce-based salad with a giant spoonful of their hummus. I had always assumed vegetarian food was bland and boring, but between this cart and my friend Cindy’s reeeediculous pasta fagiole, my mind has been officially changed. I think I could be a vegetarian if I needed to, but I don’t need to, and the rest of this blog is dedicated to the wonders of delicious, delicious meat. 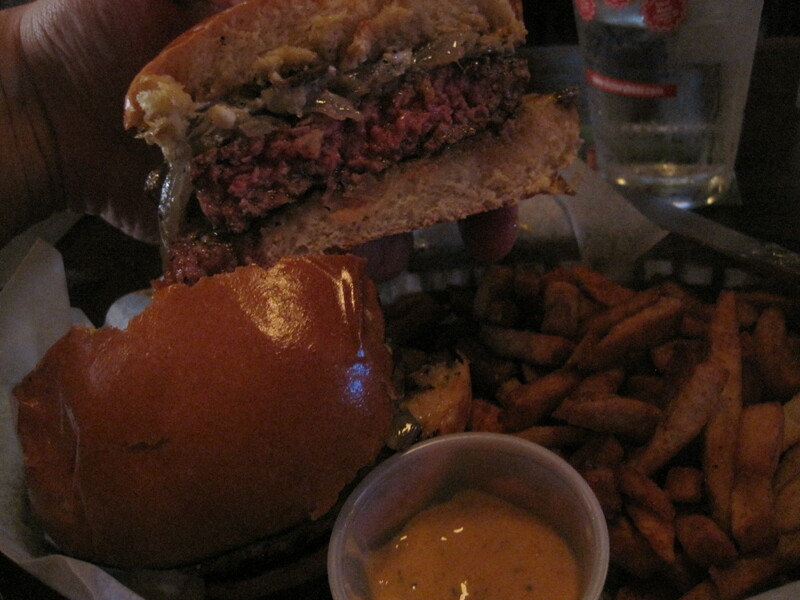 Burgers are on more menus than any other food item (source: TBD), yet I think they are rarely done right (wokka wokka). Everyone has a different opinion on who has the best burger, and some of those barely resemble a hamburger. Sure, the $26 Whiskey King burger at Village Whiskey is delicious with its combination of foie gras, bacon, and blue cheese, but it also represents what I hate about “great” restaurant burgers these days. It’s a half pound patty, which is bigger than it needs to be, the bun is somehow still too big, the toppings overwhelm the beef, and it’s way more expensive than a burger should be. 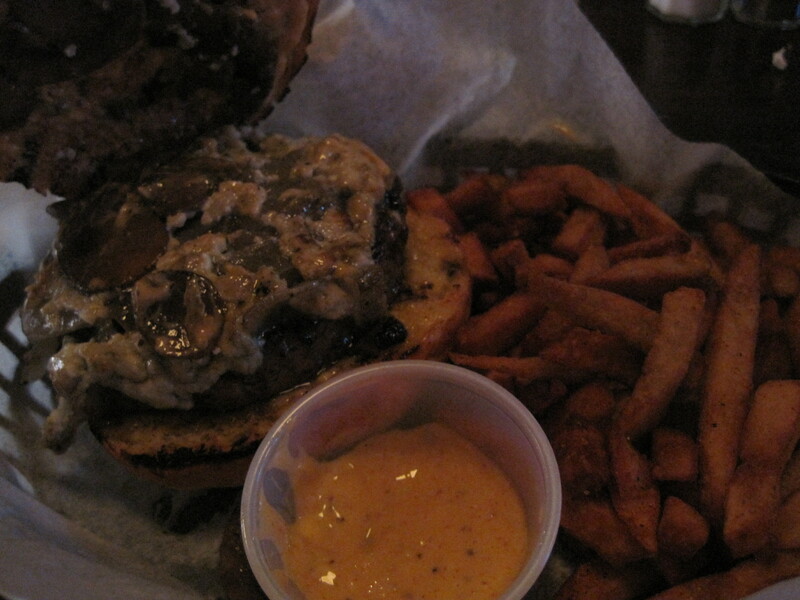 This is the South Street, one of four burger options on their menu. It’s a pile of blue cheese and carmelized onions, served on a perfectly sized, always soft roll with a side of seasoned fries and more bourbon mayonnaise. No mealy tomato slice and oversized piece of lettuce, just the perfect amount of topping to not overwhelm the meat. The actual burger is just juicy beef that is well seasoned with salt and pepper and given a solid char on a grill that is likely rarely cleaned, but always cooks to exactly the right temperature. I could write a thousand words about my love for this burger and this place, but will stop here. Grace Tavern made me a very selective burger eater and now that I have moved away it is really going to become an issue for me. I miss them already. On the other end of the spectrum is Time. Their core business is the bar with nightly jazz music, a long beer list, and elaborate absinthe setups (if that’s what you’re into). But when I went here for a Wharton event, I glanced at the menu and knew I had to come back with Kristi. Specifically, for what they called the Chicken Fried Foie Gras. 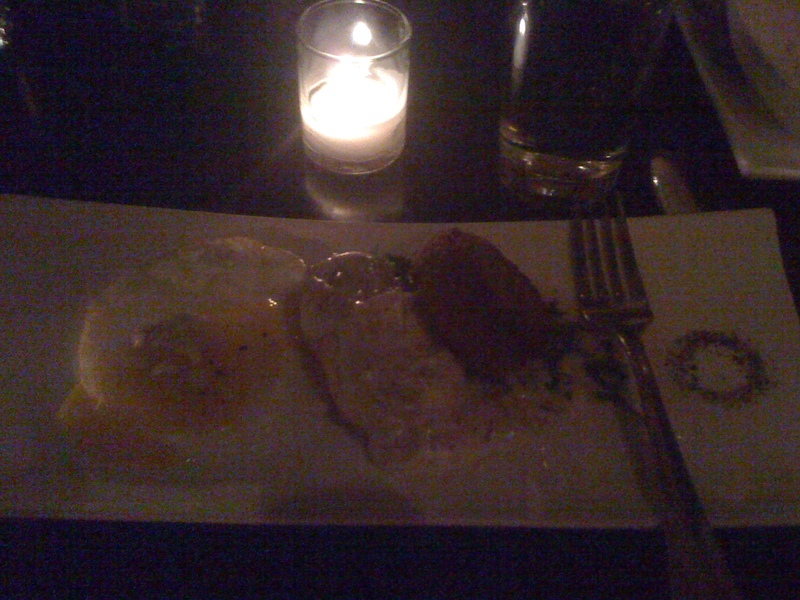 That’s a poached egg sitting on a little chopped bacon, duck sausage gravy, and a battered deep fried piece of foie gras. A little crazy right? The flavors are all so rich, but the bites that incorporated a little of each were just absurd. If you’re ever in Philly, preferably in chillier weather, head a block east of Broad Street and enjoy this ridiculous dish while listening to some live music. When Kristi and I found our apartment, we noticed a small divey-looking bar about 50 feet from the rear entrance to our building. 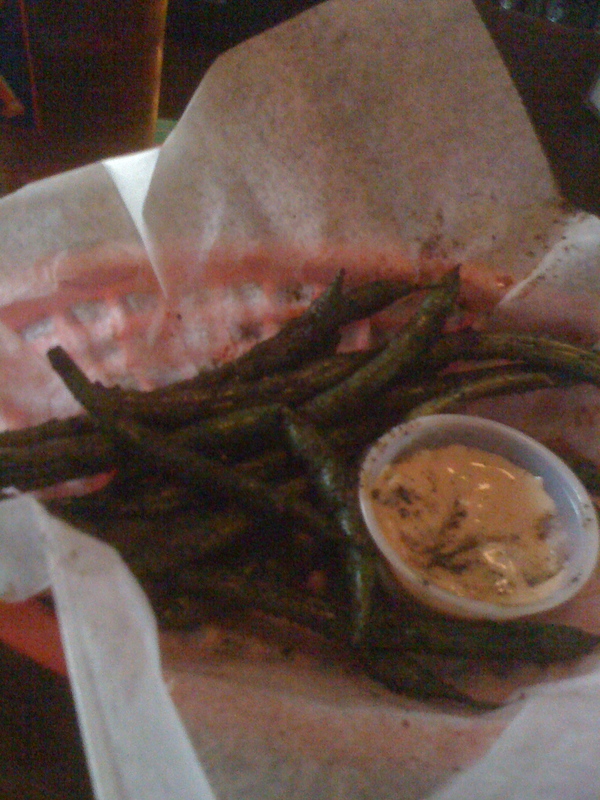 Once we moved to Philly, we ate there a couple times and were generally not impressed with the food. That hasn’t changed, but in early spring of 2010 Kristi texted me that she would love to meet for a beer near our apartment. 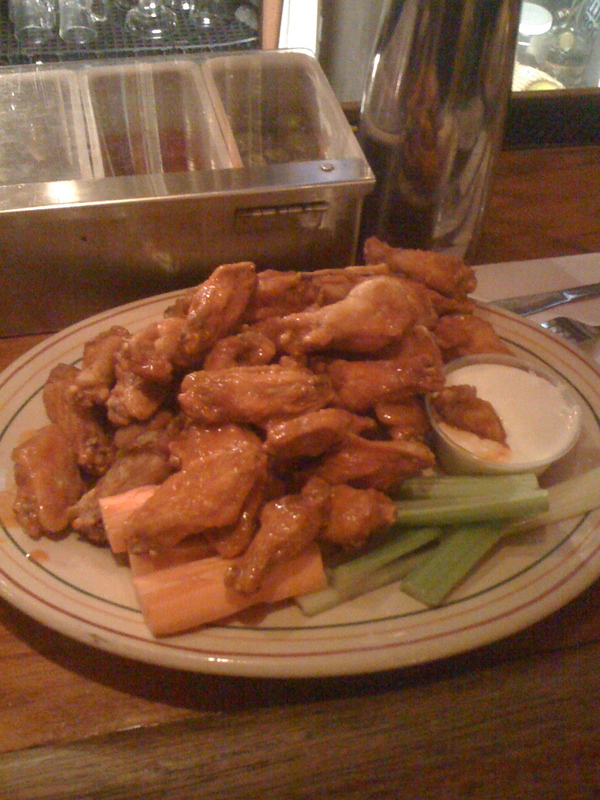 As I sat at the bar drinking a Yuengling Bock, I noticed that the buffalo wings looked surprisingly good. Since Buffalo visits have made me a wing snob, I rarely order them at restaurants but decided to take a chance and ended up completely shocked. 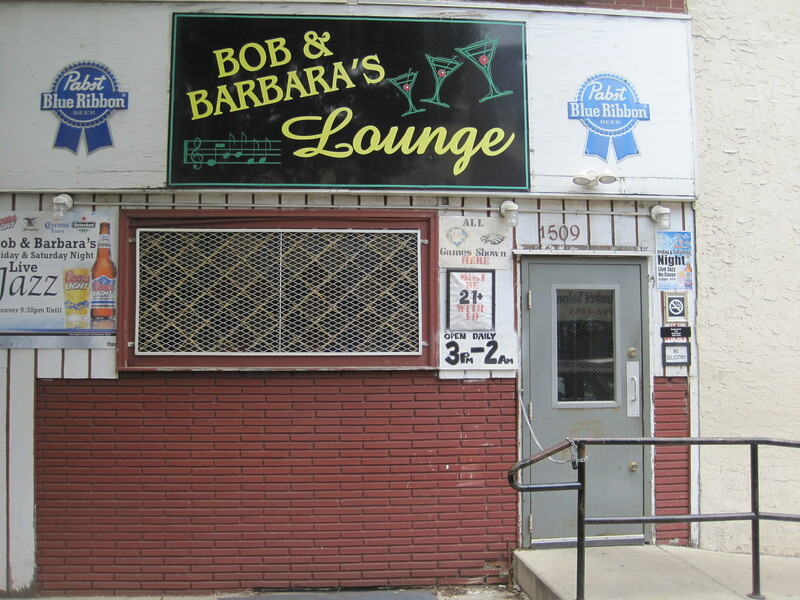 If you are in Philladelphia and want to see an old school Philly bar without being armed and terrified, you have to head to Bob and Barbara’s. The walls are covered with a collection of Pabst Blue Ribbon memorabilia that would likely sell for over a million dollars on Ebay. The bar is edged with torn red vinyl, much like the chairs, and on weekend nights a pair of 80 year-olds in velour 3-piece suits play blues and jazz. But the real reason to visit is the “Philly citywide special” that seemingly is only honored at Bob and Barbara’s: a shot of Jim Beam and a can of PBR for $3. Now you see why I didn’t share my photos from inside. Let’s move on. I spent a year in Philly griping about the lack of good Mexican food in the city once Pico De Gallo started their downhill slide to going out of business. I knew it existed, I just never put the effort into finding it. Instead, I would overpay at places like Tequilas and El Rey or get burritos at places like Chipoltle or Qdoba which I generally dislike. 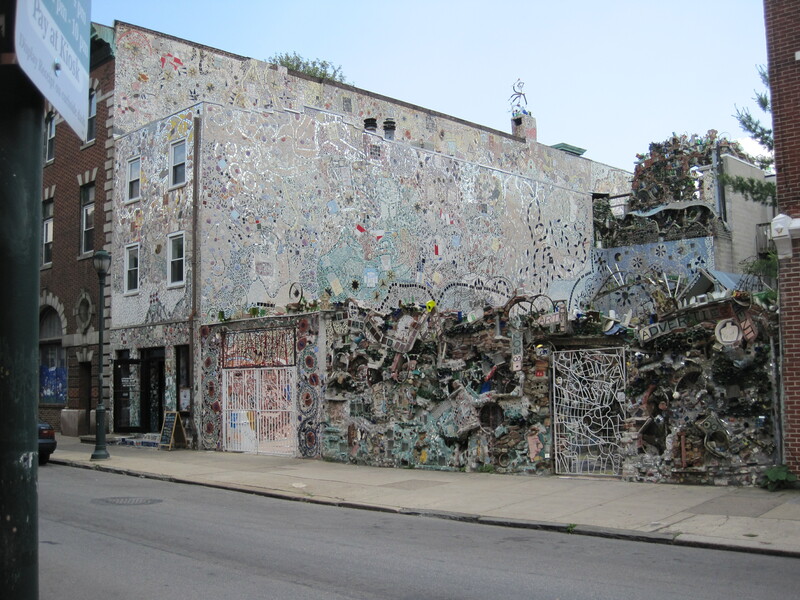 Ten days before I was set to leave Philly, a friend set up dinner at Don Memos in deep, deep West Philadelphia. Please never make the mistake I made and go there often if you ever live within 30 miles of Philadelphia. All of their food was incredible, including the margaritas they make with the tequila you bring. 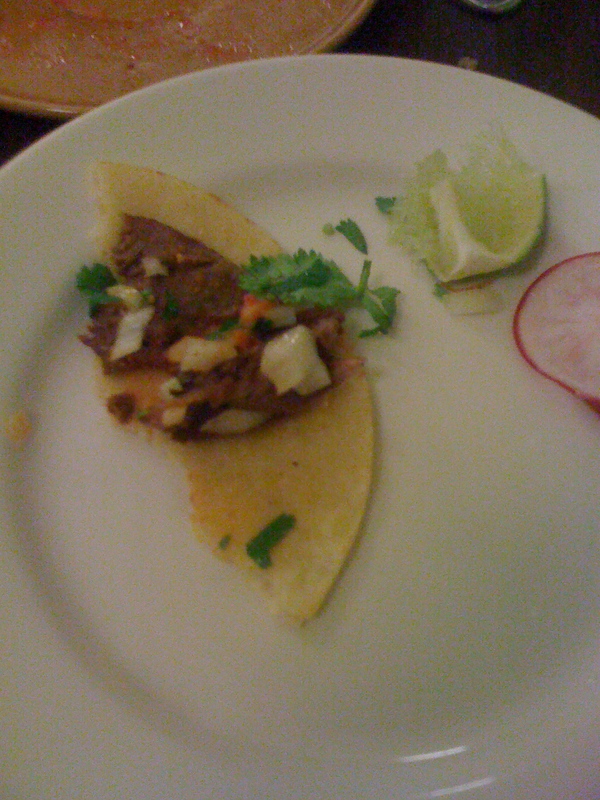 I think about their taco de lengua often, because I don’t know when I will ever get to eat it again. I am guessing that this tongue was boiled until it was tender, sliced, and then grilled before ending up in this taco. Combine with raw onion, cilantro, and lime, and that is one awesome taco. The tongue gave a rich beef flavor and the toppings are a perfect fresh, crunchy counterpart. Start off with the ridiculous queso fundido and guacamole, and you will be regretting not renting an apartment over the restaurant instead of wherever you live. 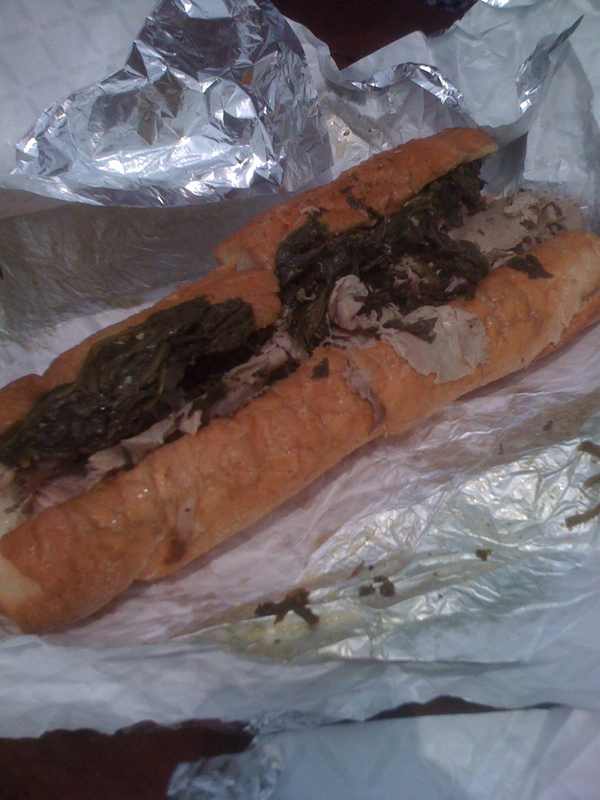 Roast Pork is a very popular sandwich in Philly. From what I can tell, it’s generally a whole roasted pork shoulder sliced thin and left to simmer in the pan juices. The most popular toppings are sharp provolone and some sort of cooked garlicky greens (broccoli rabe or spinach). After having versions of this sandwich at several places including Tony Luke’s, I decided to head out to one the of the most famous purveyors, John’s Roast pork, on my last day in Philly. I wasn’t disappointed. I am assuming that when John’s opened the whole area was an industrial wasteland, but in recent years the surrounding region was filled with big box stores and strip malls. They held their ground and remained extremely popular, but it makes for an odd setting. 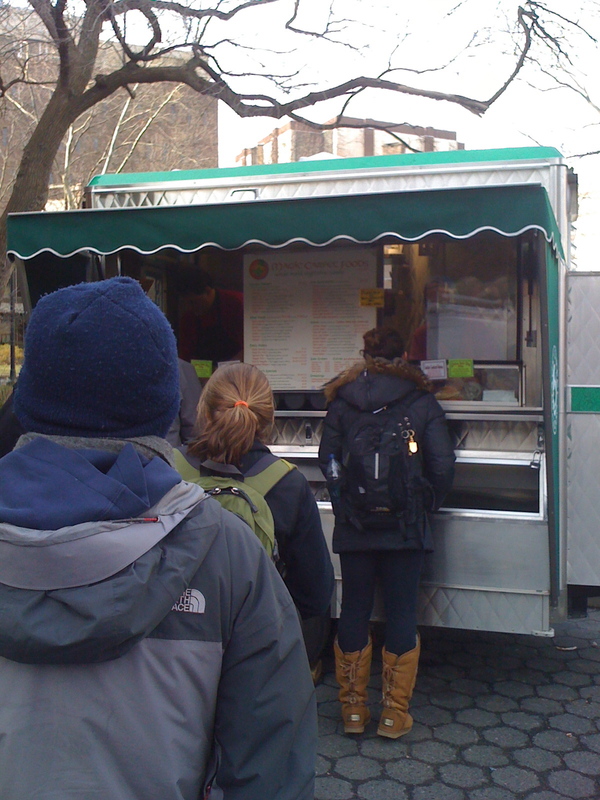 As the line slowly moved I was nearly exploding with anticipation as I saw each hoagie get overloaded with massive amounts of thin sliced pork. From what I learned about marketing at Wharton, this woman should lead off her Match.com profile with "free roast pork sandwiches"
After getting our sandwiches we thought we were lucky to find an open table. Took a few minutes to realize that the direct sunlight made it the hottest table possible. Perfect for a gigantic steaming roast pork sandwich. The pork had way more flavor than other roast pork sandwiches I had tried and there was also a lot more of it. The spinach was pretty garlicky, but I like that, and the sharp provolone was perfect. I sweat through my shirt in time for large pack of Whartonites to show up, but it was worth it. Another spot I’ve referenced in previous posts. Villa Di Roma is located in the middle of the Italian Market and is the type of red sauce restaurant that I love: 60’s decor, fake wood laminent tables, paper placemats, and everyone on the staff seems to be related. The second time I visited was in early afternoon and there was a grandmother sitting at the bar rolling tiny meatballs for Italian wedding soup. 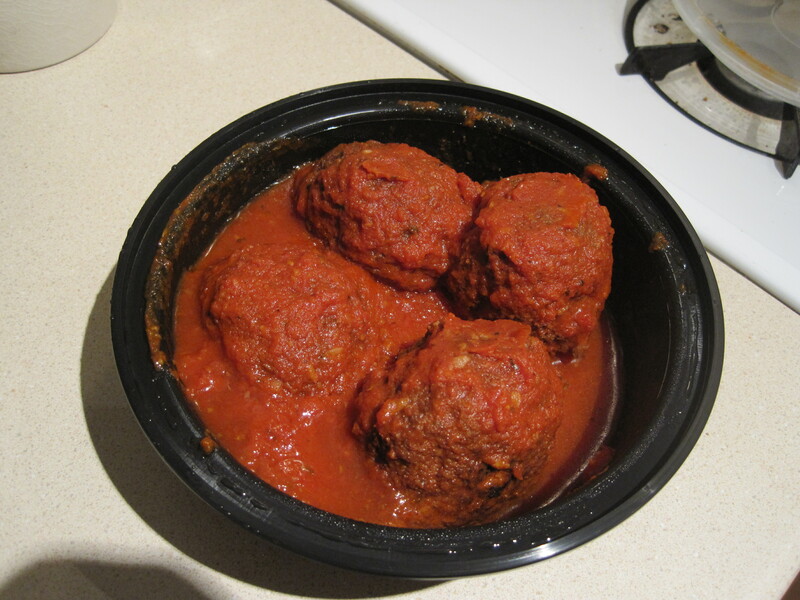 Just awesome, much like the full sized version of their famous meatballs. Aside from the great flavors of the sauce and meatballs which cook together for 24 hours (according to that same grandmother), the texture really sets them apart. Crispy outside with a firm uniform texture inside that isn’t too dense. Also, despite the flavors of onion and garlic, there are no big chunks of them inside. Really good, and they are well equipped for to-go orders if you’re just passing through town. 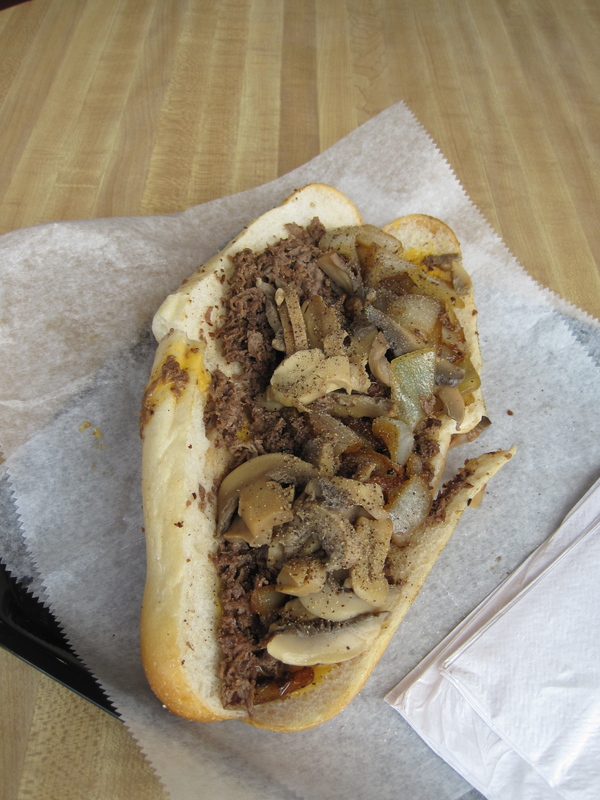 This post is running long, but Philly’s cheesesteaks need to be addressed. The crazy thing about arguments on who makes the best cheesesteak is that there is seemingly so little room for differentiation. Shaved beef, cooked on a griddle, served with a customer’s choice of cheese (cheez whiz, american, or provolone) and hot toppings (onions, peppers, mushrooms) on a hoagie roll. Yet somehow they are all a little different. 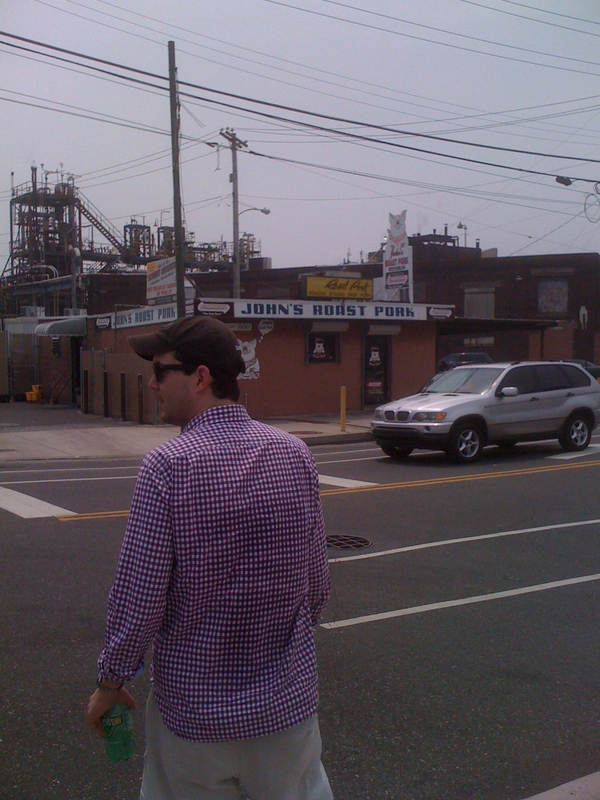 The five most famous cheesesteaks in Philly are served at John’s Roast Pork, Tony Luke’s, Jim’s, Pat’s and Geno’s (across the street from each other). Some would argue Steve’s, Primo, DiNic’s or a bunch of other places belong on that list. That’s the thing about Philly; if you go to any successful deli that doesn’t cater to tourists, they are going to have a cheesesteak that is better than 95% of the ones available nationwide. The key is the roll, usually from Sarcone’s or Amoroso bakeries, that serve as the perfect vehicle for a cheesesteak due to their chewy but soft texture and not being too bready. The whiz isn’t hot enough, the mushrooms literally come straight out of a heated can, and the biggest issue is the steak is always way too chewy. These sandwiches are usually made with cheap cuts of beef, but Pats is always chewier than its competitors despite being chopped. Makes the experience less enjoyable when you need to carry floss. 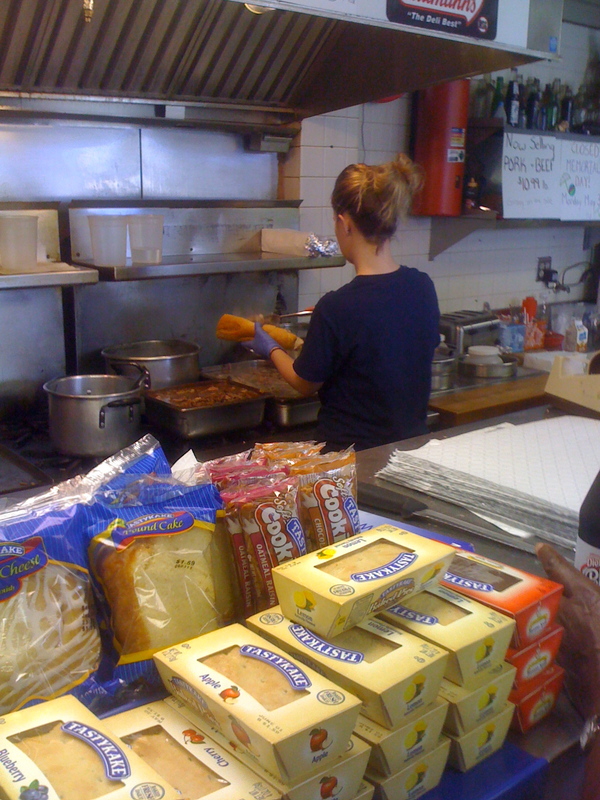 While at John’s for their roast pork sandwich, we ordered a couple cheesesteaks to go halfsie splits on (totes). I had heard great things and some people called it the best in the city. Although I enjoyed it, I just don’t agree. The biggest issues were the roll and the under-seasoned steak. Although I think the roll was from Sarcone’s, it was a different variety that was coated with sesame seeds and wayyy too crusty. Nicked my mouth up a bit. The steak was light on the salt and pepper which, despite being easily rectified, was a little surprising. Again, this was still better than 99.5% of the cheesesteaks you could get anywhere else in America, I am just picking nits here. As a contrast to Pat’s, it kills me to rank them this high. To be blunt, the owners and staff at Geno’s are complete assholes. Their policy is that if you speak anything but English in their line they will refuse you service, and they are visibly impatient and rude to anyone who isn’t white. Multiple friends have argued that they do it strictly for the publicity (all press is good press) and it’s become their shtick. Regardless, it is still annoying and why Mrs. Obama is a patron of their neighbor. Unfortunately, they make a better steak than Pat’s. The meat is always tender and its just a better sandwich overall. 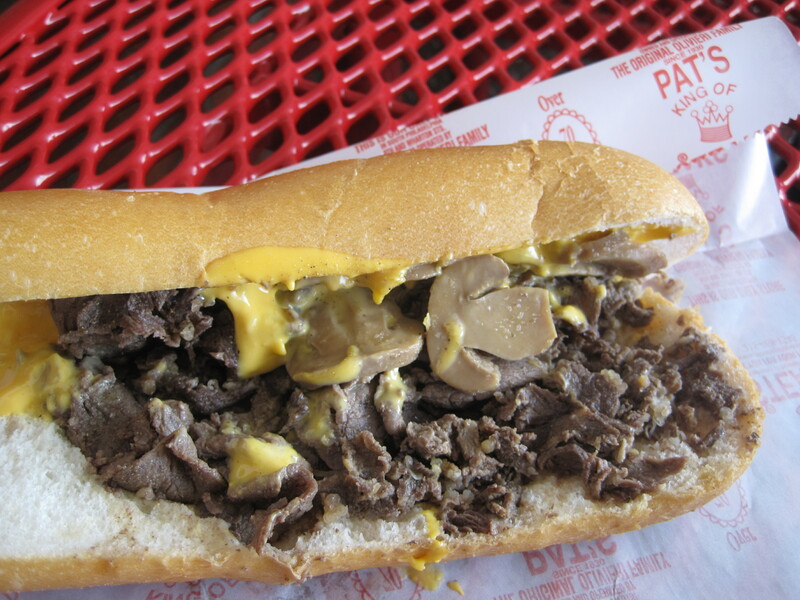 No more praise for them, but if you find yourself deciding between Geno’s and Pat’s, I recommend you choose taste over conscience. 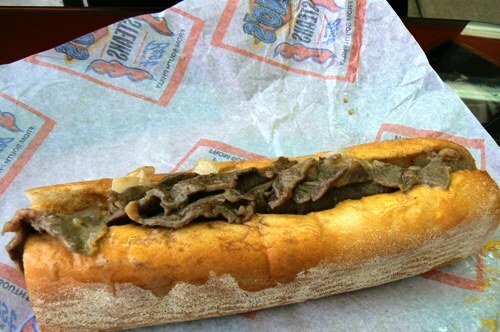 I am bummed that I discovered Jim’s so late in my time in Philly. A short twenty minute walk from our apartment, Jim’s looks and feels like a 1950’s diner. The staff wants to move you through quickly but likes to joke around a lot more than any of their competitors. Much better as an experience, and the sandwich is freaking awesome. 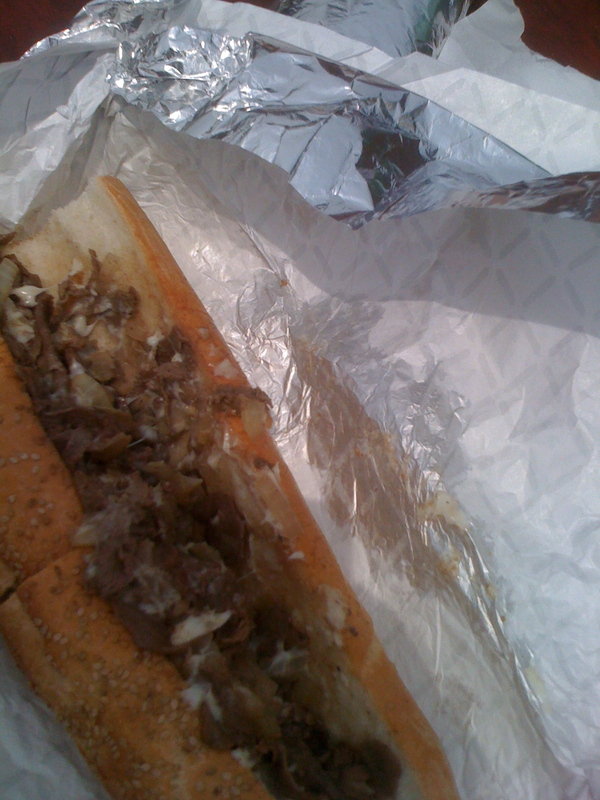 …But Tony Luke’s wins the grand prize. The sandwich itself resembles Jim’s in many ways; gigantic, messy, and overstuffed. This one tastes and chews differently than all the others; it’s got a lot more beef flavor and is seasoned very well. Supposedly, they use only thin shaved ribeye, which sounds ridiculously expensive compared to what their competition uses, but it also makes sense given how good it tastes. 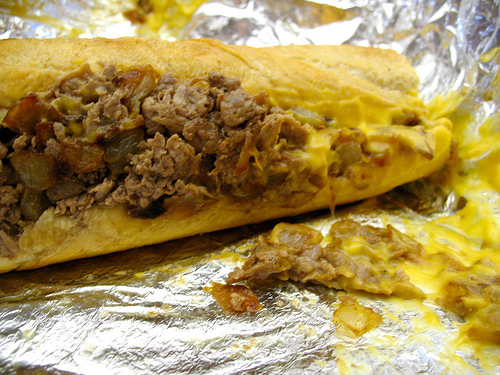 Requires a car to get to, but it really is the best cheesesteak I have ever tasted in my life. And that’s it for this absurdly long post. Now that you know what I have been eating for two years, I ask that you refrain from questions like, “So, did they not have gyms or places to buy running shoes in Philly?” and “Are you on Prednisone or something?”. I am looking forward to my return to in-home cooking and have a few posts and potential featured products lined up. Sorry for the long break, I think there will be some good stuff this summer. Thanks for reading.